Don's Dimensional Shift: Red Warp Print Edition Is RELEASED! 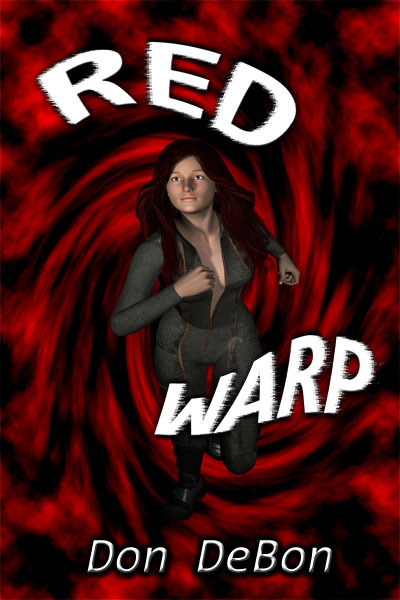 I am pleased to announce that Red Warp print edition is now available at Amazon, Barnes and Noble, or your favorite bookstore! And the ebook edition is still available for FREE on Kindle, Nook, Kobo, iBooks, and Smashwords. I also wish to thank everyone for their support. The air swirled as a bolt of pure energy stuck and a red rip into the fabric of space and time opened in its wake. A moment later James fell out onto an iron plated deck with Red landing a second later right on top of him. The warp closed behind them leaving no trace as usual. "We really need to stop meeting like this." James said giving Red a squeeze. "Will you cut it out! Now where are--" A incredible bang ripped through their ears and they smelled old fashioned gunpowder, as a cannon shell whizzed over their heads. "Holy! They are shooting at us!" "Not us! That other boat over there!" James pointed to a strangely shaped ship. Most of it was pyramid shaped, very little else could be seen except for the large anti-ship guns sticking out at different angles and the large smoke stack in the center. Then another explosion as the other ship fired a shell. It whizzed over top of them and bounced off the metal covered turret right behind. They covered their ears against the extreme audio assault. "Where the heck are we?" James shouted still trying to keep his ears covered. "You landed us in the middle of a war zone!" "I did not! You know how tricky--" Red shouted back, but didn't dare uncover her ears. "Well you are the one driving!" James shouted as another shell went wild and bounced off the decking nearby. They both were very grateful the shell did not explode or it would have killed them instantly. "Well my driving has got a lot worse since you tagged along!" "What kind of ships are these?" He said pointing with his elbow to the unusual craft they were on. "I don't recall seeing these before. There isn't anything to this ship above the water line other than a gun turret and a smoke stack! It certainly isn't a submarine." He said as they uncovered their ears. "Oh my Lord ... do you see the flag on the other ship?" Red said pointing. "It is confederate! ..."